One of the reasons keep a blog because I plan on printing a book for the kids that they can look back when they grow up. I began working on book two but got discouraged by the amount of work required to do it. The company I used for the first book updated their software and I can no longer automatically export the content. I figured if I blogged less, I would have less work to do, but in the end, there are just too many things that I want the kids to remember. In the next few days I hope to get caught up for almost three months of blogging. They will be primarily pictures with some comments. Feel free to skip them. 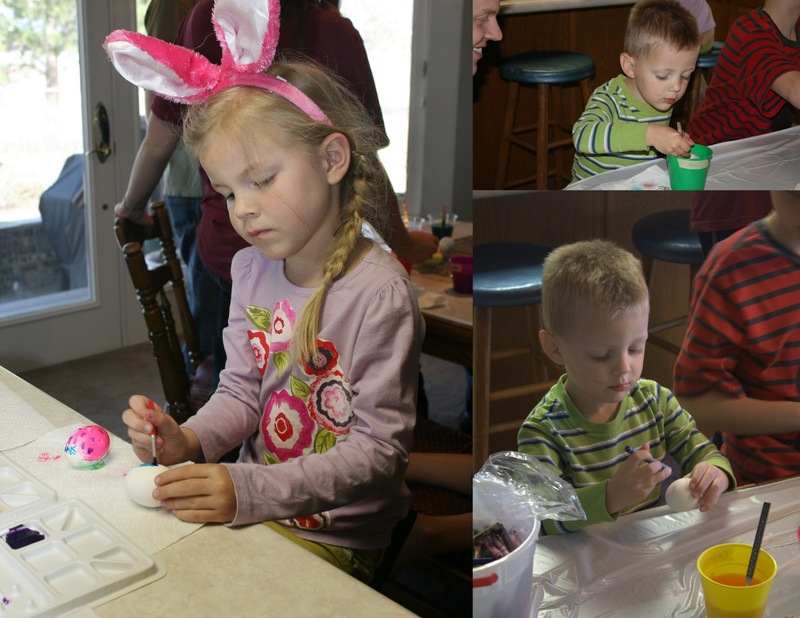 As I said, they are primarily for the kids. 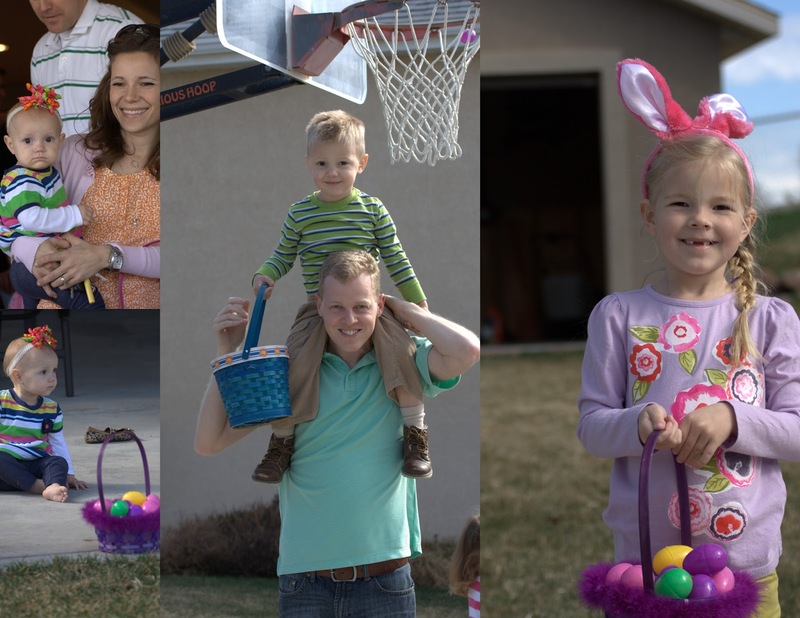 Our next door neighbor invited us over for an Easter egg hunt. 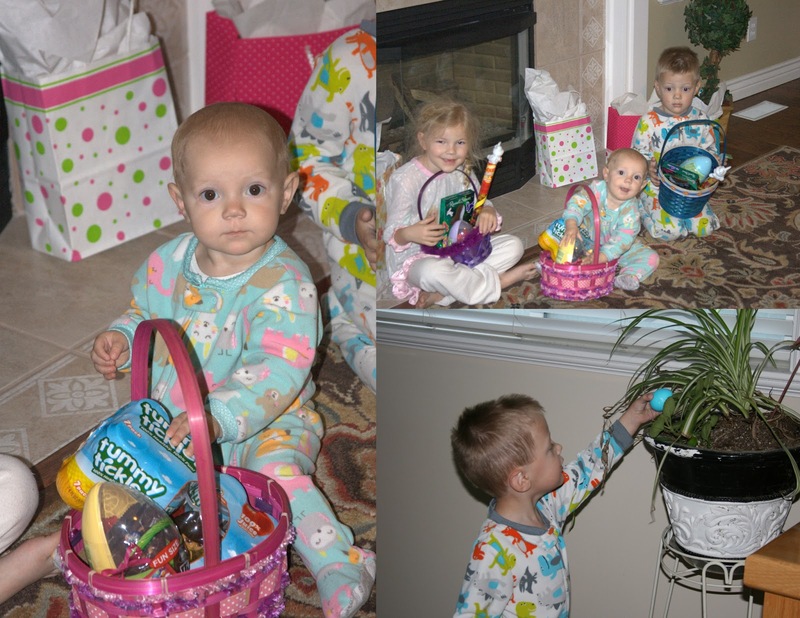 The kids got to search for eggs in the house on Easter sunday and opened a few Easter gifts.